1-room apartment 25 m2 on 1st floor, south facing position. Beautiful furnishings: entrance hall with 1 x 2 bunk beds (90 cm), TV. Living/dining room with TV (flat screen). Sleeping alcove with 1 french bed (140 cm). 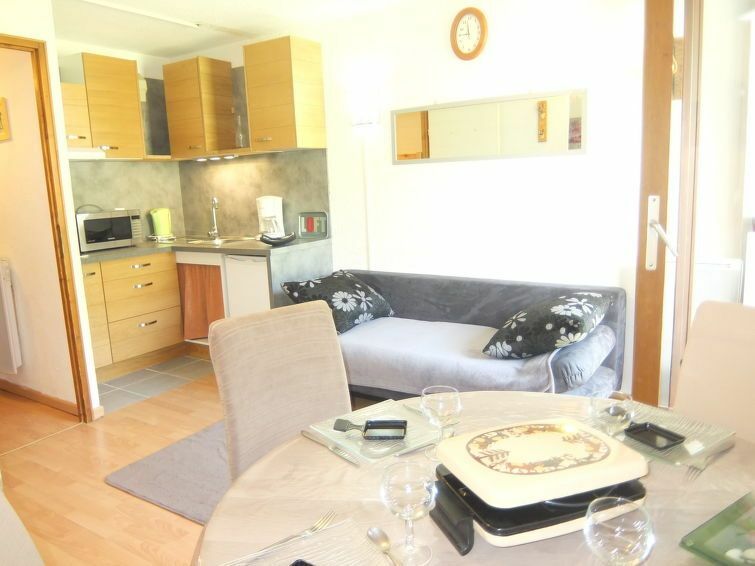 Kitchenette (oven, 2 induction hot plates, electric coffee machine, combination microwave). Bath/WC. Small balcony. View of the mountains and the ski run. This property is situated in building A.
Cependant manque d hygiène et le ménage n est pas fait correctement.